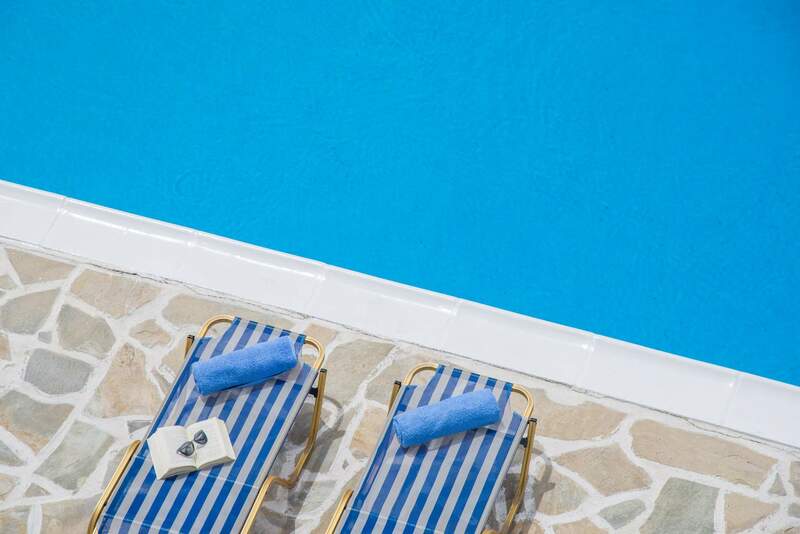 Hotel Olympia offers a traditional Cycladic setting conveniently located in a quiet and peaceful neighborhood, yet only a few minutes walk (600 meter) from Fira. Hotel Olympia is within walking distance from restaurants, taverns, shops, currency exchange and bus service points. We offer two swimming pools, one catering for adults and the other for children where you will enjoy a relaxing atmosphere. We also provide spacious private parking, a lounge/bar area and a friendly staff willing to assist with rentals, tours and any other need you may have. Our comfortable rooms are provided with daily cleaning, private bathroom, air-conditioning, mini-refrigerator, satellite TV, direct dial phone and private balcony overlooking the spectacular Aegean Sea. We also offer fax and safety deposit service.